With the cost of food, veterinary care and other supplies on the rise, it’s easy to understand why this figure is so high. But with the tax season approaching, some pet owners might ask, is there any way you can get some sort of tax break for pet expenses. As absurd as this may sound, there are actually ways in which you can claim tax deductions from what you spend on your pets. Medical care for pets is not tax deductible, but if you have a pet that you use as a guide animal for your own health, the expenditure required to maintain that animal become eligible medical expenses. These costs include food, veterinary care, grooming and so on. For instance, if you get Fresh Pet food for your pets, you might get tax deductibility on it. Besides guide dogs, therapy animals can also qualify for tax deductible expenses. This applies as long as you have received a medical diagnosis for a condition for which you need the animal. Guard dogs may also be eligible for a tax write off. However in this case, you will only be able to deduct a certain portion of the total expenses. The logic behind this is that only the time spent by the dog on ‘guard-dog’ duty is tax deductible. 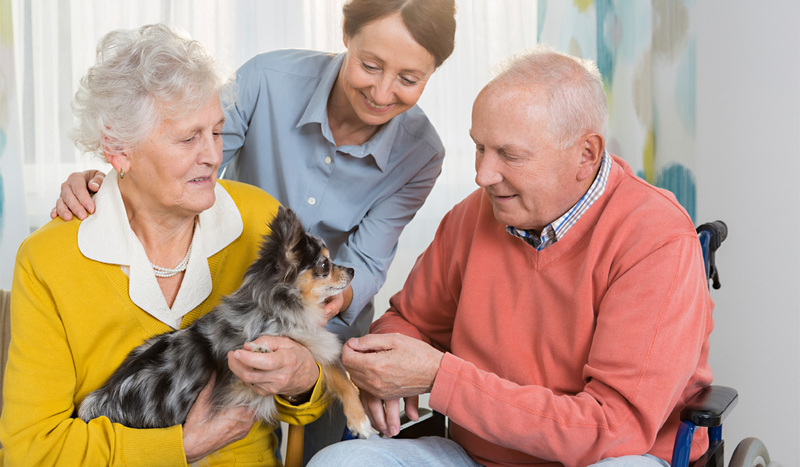 In addition, you will need to cross the special threshold for deducting medical expenses – 10% of adjusted gross income for individuals under 65 – before you would be eligible to deduct guide animal costs. If you are moving, you could get specific expenses deducted. Your move must meet the criteria for moving-expense deductions in this case. Usually, the move should be for work purposes, and the new job you are moving for should be at least 50 miles away from your previous residence. The details of how to deal with this tax deduction are in the Publication 521 of the IRS. You will need to fill out a work sheet and file the Form 1040 and Form 3903 to claim this deduction. If you own and run a business that involves pets, then your pet-related business expenses would give you tax breaks. For instance, if you are a trainer, you may be able to deduct transportation or mileage expenses for visiting clients and their pets. And if you are a dog walker and need to buy items such as leashes or poop bags, you can claim tax deductibility on these items. Similarly if your business involves the upkeep of racing horses or show dogs, you might be able to count some of the pet expenses against the income they generate. So if you buy your pets the various recipes of Fresh Pet dog food, or Freshpet cat food, you might be able to get some tax benefit on these. Make sure you keep all the receipts with you so that you are able to prove that the items were work related. If you are a part of a pet rescue program with an animal shelter, you might be able to write off some of your expenses. Many animal shelters are nonprofit organizations where you can get a deduction on expenses such as charitable donations if you agree to provide a pet with a foster home. Keep in mind that the cost of adopting a dog is not deductible. However, any donations made over and above the regular adoption fees most definitely are. The law stipulates that only those donations made where no goods or services are given in exchange (dogs, cats etc) can be deducted. Make sure you ask for a receipt that states this clearly, along with a detail of the nature of expenses. You will need this receipt if the value of your donations is over $250. To claim this deduction, you must fill out and file the Form 1040 and itemize the deductions on Schedule A. The IRS allows taxpayers breaks for guard animals meant to protect business property. But for the pet to be eligible for this deductibility, he must look and play the part. Your pet poodle with a badge won’t cut it with the IRS. Pit bulls or German Shepherds are ideal watch dogs that can qualify for the tax free bracket. Also keep in mind that your dog actually needs to be guarding something. Just having a guard dog is not enough to make you eligible. There must be a gated home or a valuable property that is being guarded. The logic behind this is that it is the dog’s services that are deductible not the dog itself. In a case where animals are helping you keep unwanted pests off your property, their feeding expenses might be tax deductible. In a unique case, a couple was allowed to write off cat food costs, since the cats were helping them hunt snakes and rats on the premises of a junkyard, making it safer for their customers. Even though this was a one-time case, IRS officials seemed to agree that these nomadic cats could eat tax-free. So if you are getting your beloved felines or canines Freshpet food for instance and they are helping you keep your property pest-free, you should keep these receipts safe to claim your tax deduction. Even though these situations mostly qualify for a tax deduction, keep in mind that every situation is different in terms of detailed legalities. You are advised to consult a tax professional before claiming any of these expenses. Nonetheless, if any of these situations is similar to yours, then April might be the ideal time you can give your pet a nice tax break.